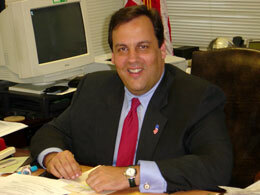 If Chris Christie wasn’t the Governor of NJ, he would make a great stand-up comic. In this case, the Teachers Union provided him with some top-notch material. Chris Christie’s real skill is in effectively using the things that the Teachers Union in New Jersey constantly lay at his feet. He repeatedly exposes the corruption of the union leaders and turns a bright light on the cockroaches who take cash from the taxpayers. Do you remember all the whining about Wall Street fat cats? According to the U.S. Census Bureau, the fattest cats live around Washington D.C. not Wall Street. In other words, all those complaints about Wall Street coming from elected leaders, like Obama, were a deceptive misdirection. While politicians were complaining about Wall Street’s greed and profits, they were stealing trillions of dollars in “stimulus” money and making themselves the fattest cats around. 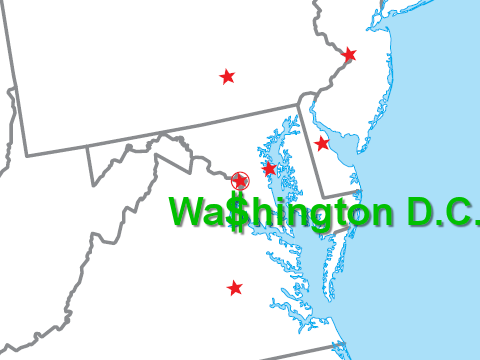 According to this article, which quotes the Newsweek and gets its figures from the U.S. Census Bureau, 7 of the 10 wealthiest counties surround Washington D.C.–with the D.C. area taking the top three spots. Democrat politicians passed and signed into law the Wall Street reform bill in the name of “accountability and responsibility,” but who will hold them accountable. Who will reform Government? Yes, bailouts for Wall Street are bad, but what about the bailouts for the government?